Founded in 2014 by musician Drew Holcomb, the annual Moon River Music Festival is an exciting, family-friendly, two-day event highlighting the music and culture of Tennessee. Originally taking place in Holcomb's hometown of Memphis, Moon River has grown into an important and beloved institution in the Tennessee community. 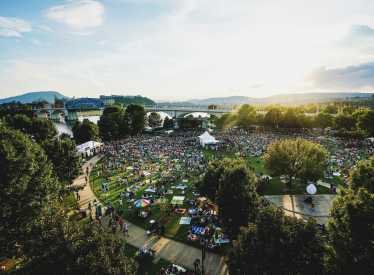 Now in its fifth year, Moon River will be held for the second year in a row in Chattanooga's beautiful Coolidge Park where it will continue its celebrated tradition of bringing specially curated music lineups and community focused experiences to the region. September 7 & 8, 2019. Tickets will be on sale to the public beginning at 10AM ET on Wednesday, February 13th via www.moonriverfestival.com.